Consolidation is perhaps the single most significant trend we have seen in the restaurant industry over the past decade. It is easy to understand why franchisees and investors have chosen this direction. Under the right leadership, consolidation leads to greater predictability of operational results and returns through economies of scale, implementation of modern technology, market control, and fixed-cost leverage. We have entered into the era of the "mega-franchisee," but as these entities become ever more massive, is there a case to be made for these organizations to strategically divest assets, becoming smaller over time? There are two catalysts for where a mega-franchisee could find deconsolidation the best course of action: 1) when it reaches an inefficient tipping point in the context of day-to-day operations, or 2) when it becomes more beneficial to break apart the whole to maximize shareholder value as it relates to an exit strategy. Clearly, big can become too big. As we see with large company-operated brands, inefficiency can erode the entrepreneurial enthusiasm and control that originally fueled these businesses. It is true that on the way to scale, there are great efficiencies and performance boosters attributed to streamlined leadership, professionalized systems and procedures, and direct accountability. At some point however, size can have the opposite effect. Inefficiency through decentralized control and oversight may lead to inferior performance and loss of accountability, as well as unnecessary growth of supervisory and G&A costs. The franchise model has always thrived on a close hand of control and oversight, ensuring above-average performance. Technology deployed across operations, human resources, finance, and marketing has largely been the most influential force in this equation. It has helped operators move up the point of diminishing returns, but to date has not removed the tipping point from the equation. At this juncture, returns are hampered, growth slows, and operators could find themselves forced to simplify in order to reignite the core business and/or correct balance sheet issues. Maximizing shareholder value is another catalyst for dividing restaurant assets. Whether an organization has reached its point of diminishing returns or not, there is real value in breaking a mega-franchisee into multiple parts upon a sale or other exit strategy. In some cases, the massive scale of a mega-franchisee's holdings could give this company control over multiple, distinct market geographies. This presents the seller with a couple of challenges--and therefore opportunities for buyers. First, there is the chance that no qualified buyer can be found for a business of such a large size. Second, even if a buyer is found, there is no guarantee that the franchisor will share the seller's sense of optimism about the buyer's qualifications and the sale's perceived risk to the system. Additionally, in today's market, small and medium-sized franchisees are bidding most aggressively on individual, adjacent markets with minimal G&A assumptions attached to their valuation. So, while the entire transaction would likely require a large institutional private equity buyer who would look to the historical oversight expenses, smaller individual market buyers might help drive more margin to the pro forma EBITDA they are buying. 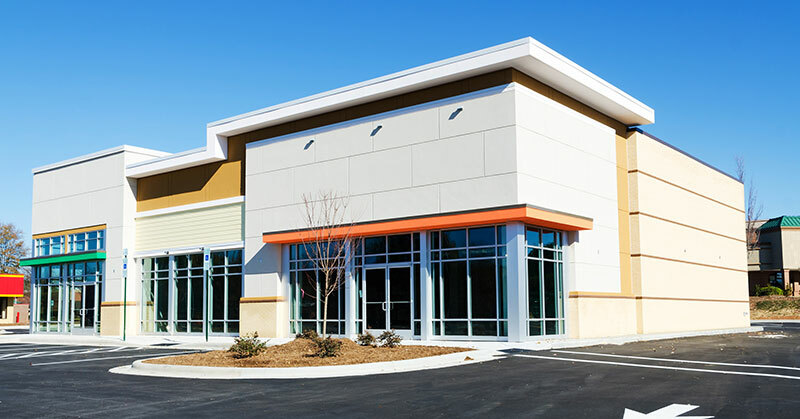 It's also worth noting that individual buyers might see other store-level P&L opportunities in purchasing assets out of the mega-franchisee that are particularly attractive to them given their geographic interest and structure. This essential argument bears some similarity to what has gone on with corporate refranchising over the last 5 years, with new buyers finding unique individual market opportunities and subsequently paying a premium price for them. Franchisors are selling those assets at a discount to where the brand itself trades. In return for that step down in valuation, they get a predictable royalty stream and diminish future capex requirements. In contrast, the mega-franchisee seeking the same kind of divestiture by separating markets may actually see a step up in overall value by selling their markets individually. There are a number of takeaways from the ideas expressed here. First, we expect to see continued consolidation. The best operators will certainly continue to leverage their infrastructure and technology to push the bounds of what it means to be in the top 200. However, this consolidation is not without a limit, creating additional consolidation opportunities for smaller, nimbler buying groups. We frequently hear that these groups are frustrated by losing deals to the mega-franchisee, but we advise that time and patience will afford opportunity just as it has with refranchising. Additionally, there is the "risk and reward" factor concerning the franchisor. As franchisees pursue further growth, we do see some franchisors taking steps to limit the risk associated with concentration. Some franchisors have imposed caps on the number of units one franchisee can acquire. Others have taken a more aggressive role in the transaction approval process by limiting private equity participation or by exercising their right of first refusal to control the deconsolidation process, subsequently reselling the individual markets of the mega-franchisee. The most important conclusion you can make is to control your own destiny as it relates to your M&A activity. As a mega-franchisee, ensure that you understand the value of the whole versus the parts; and as a smaller buyer, make sure you are prepared to be nimble when mega-franchisee transactions take place.